YEARN FOR ALLAH: Contradictory attributes in the Quran, with the exception of one! Contradictory attributes in the Quran, with the exception of one! Within the human makeup, it is the “heart” (dil) that attracts God’s love, not the “clay” (gil), which is shared by many other creatures. The Quran sets up opposition between Creator and creature in many different ways, constantly asserting the divine greatness and human insignificance. Only in talk of love does the Quran speak of mutuality. God gave news of the attribute of His knowledge – Surely God knows everything [29:62]. 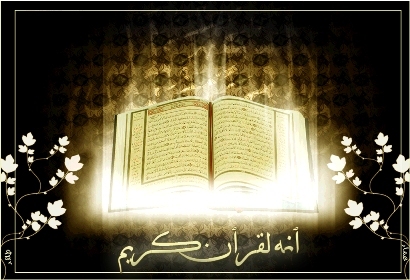 He also gave news of the attribute of our ignorance – Surely he is very ignorant, a great wrongdoer [33:72]. He gave news of the attribute of His power – Surely God is powerful over everything [2:109]. He also gave news of the attribute of our incapacity – God strikes a likeness: a servant possessed by his master, having no power over anything [16:75]. He gave news of the attribute of His exaltation – Surely the exaltation, all of it, belongs to God [4:139]. He also gave news of our abasement – And faces are humbled to the Living, the Selfsubsistent [20:111]. He gave news of the attribute of His incomparability and holiness – Glory be to your Lord, the Lord of exaltation, above what they describe [37:180]. He also gave news of the attribute of our taintedness – Did We not create you of a vile water? [77:20]. He gave news of the attribute of His subsistence – There subsists the face of your Lord, Possessor of Majesty and Generous Giving [55:27]. He also gave news of the attribute of our annihilation – Everything upon the earth is undergoing annihilation [55:26]. He gave news of the attribute of His life – Trust in the Living who does not die [25:58]. He also gave news of the attribute of our death – Surely you are mortal and they are mortal [39:30]. Since Lordship is His attribute – Your Lord and the Lord of your fathers, the first [26:26] – servanthood is our attribute: I created jinn and mankind only to serve Me [51:56]. Since unity is His attribute – Your God is one God [16:22] – pairedness and association are our attribute: Of each thing We created a pair [51:49]. However, when He gave news of love, just as He affirmed love for Himself, so also He affirmed love for us – He loves them, and they love Him [5:54]. Here there must be a secret that will increase the refreshment of the lovers’ spirits: Knowledge, power, life, holiness, subsistence, and unity are the attribute of His Essence, and His Essence is holy and incomparable. These attributes are suited for Him. Glory be to Him who is disposed to exaltation and suited for it! When one looks at the human essence, it is tainted and distracted. It is a muddiness, a dark water, a clay. Hence, all those attributes appeared within it. But, the site of love is the heart, and the heart is pure gold, the pearl of the breast’s ocean, the ruby of the inmost mystery’s mine. The hand of no one else has touched it, and the eye of no one who is not a confidant has fallen upon it. The witnessing of God’s majesty has polished it, and the burnisher of the Unseen has placed its seal upon it, making it bright and limpid. The angels are cut off from love because they cannot taste wrath, severity, and distance, and the beasts are far from love because they cannot experience beauty, gentleness, and nearness. Human beings are woven from both nearness and distance, both gentleness and severity. All the contradictory divine attributes are brought together within them. Only they can truly love God, within whom all opposites coincide.